School secretaries, represented by Fórsa trade union will today (Tuesday) outline their experience of poor pay and uncertain short-term contracts to a hearing of the Oireachtas education committee. The committee is meeting today to discuss the status of non-teaching staff in schools, and sought written submissions from all stakeholders. 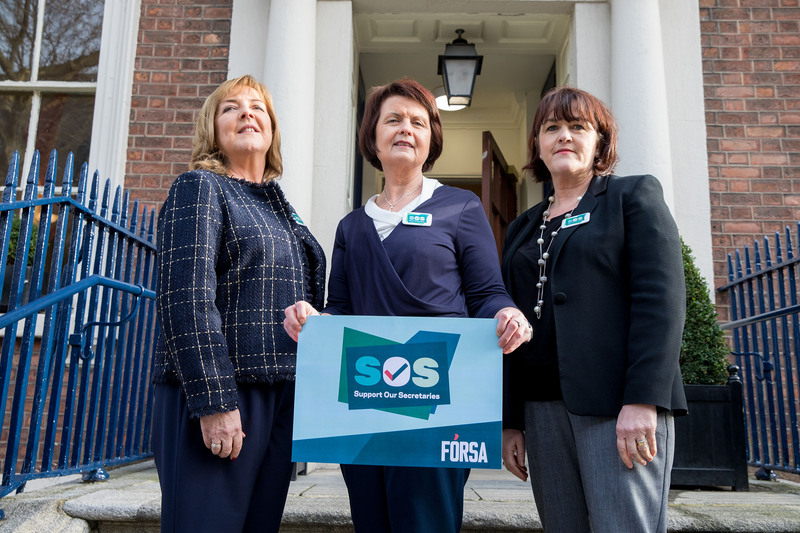 In its submission to the committee, Fórsa said most school secretaries are very poorly paid, with uncertain short-term contracts that force many of them to sign on during the summer holidays. Fórsa also highlighted the very wide range of duties carried out by school secretaries in its submission. The majority of school secretaries work alongside colleagues with full public service status, but are locked out of the system without holiday pay, sick pay, pensions or access to public service salary scales. Mr Pike added: “The majority of school secretaries, around 90%, work alongside colleagues with full public service status, but are locked out of the system without holiday pay, sick pay, pensions or access to public service salary scales. “The remaining 10% of staff employed by Education and Training Boards (ETBs) are paid according to public service pay scales and have access to the standard benefits of public service status such as pensions and paid leave. “The experience of school secretaries is uniquely disadvantageous, and the conditions under which they are employed falls far short of the standards set elsewhere in education. “It is time for these inequalities to be addressed, and for the terms and conditions of school secretaries to properly reflect their enormous value to the school community,” he said. Mr Pike said school secretary duties include completing pay and pension returns for teachers, and undertaking many tasks necessary to ensure that teaching staff receive holiday pay, sick pay and other public service conditions of service. See the full Fórsa submission to the Oireachtas Education committee here. The experience of school secretaries is uniquely disadvantageous, and the conditions under which they are employed falls far short of the standards set elsewhere in education. Maeve Hurrell spoke about her status as a grant paid school secretary, and our head of Education Andy Pike spoke about taking Fórsa’s #SupportOurSecretaries campaign to the Oireachtas education committee meeting today on RTE’s Morning Ireland. Maeve Hurrell & Andy Pike.